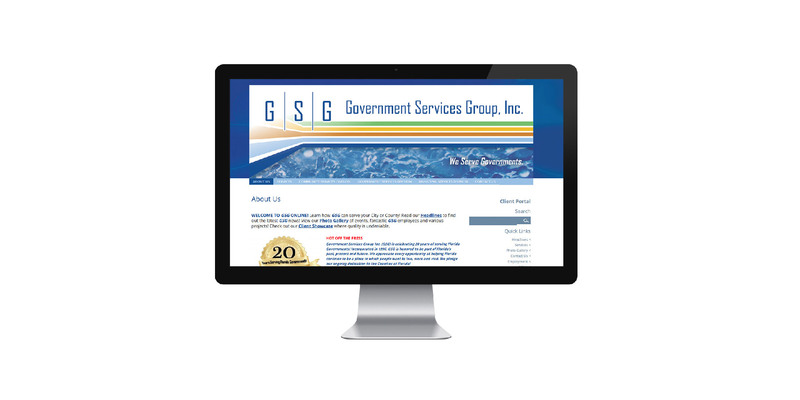 Home > Portfolio > Government Services Group, Inc.
GSG has been working with Florida Governments for more than 20 years. The consulting firm specializes in local, state and federal governments, stormwater, water and wastewater, grants management, community development, fire service, revenue enhancement and program administration. The company is divided into 3 divisions: Community Services, Government Services, and Municipal Services. 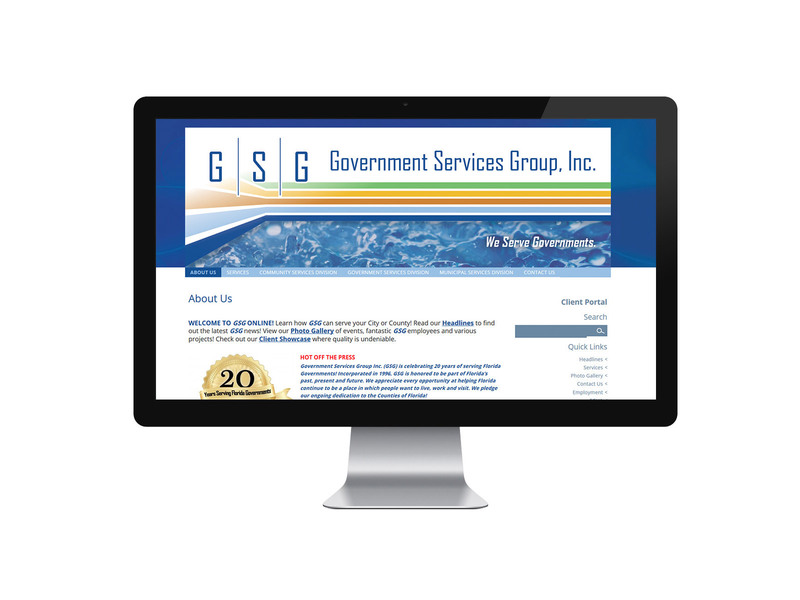 With the diverse audience and wide array of services they offer, GSG required a website that would be engaging, easy to use and organized. Kidd Group/3W Studios created their new website in WordPress to allow GSG to update the content themselves when needed. The website also features a News stream Feed that brings in Facebook posts and Tweets from GSG so those viewing the page can see it, and even share it on their own social media accounts. In addition to the website, Kidd Group/3W Studios created a client portal for GSG to interact and upload files back and forth with clients and keep in an organized database.